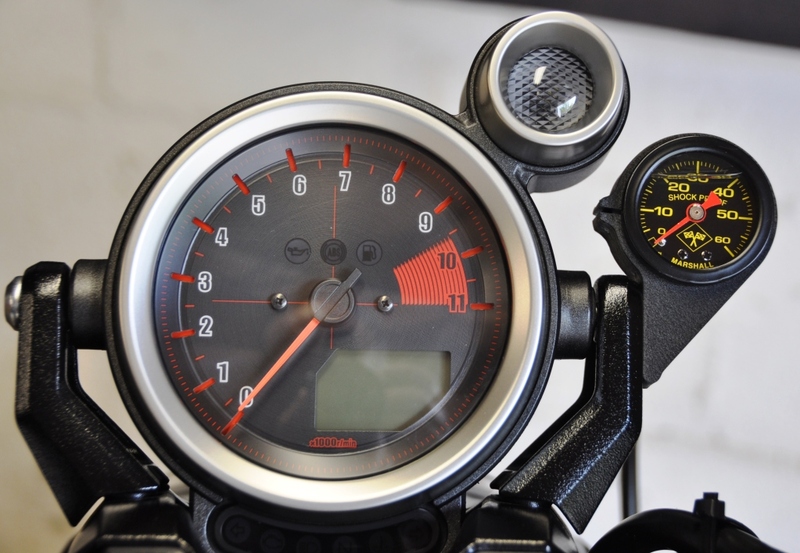 Top mount oil pressure gauge kit. 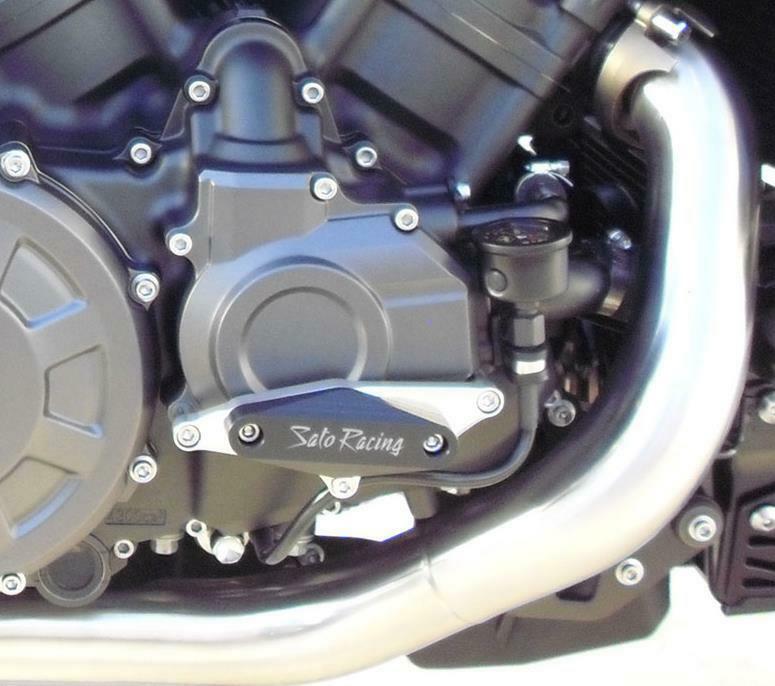 Comes complete with braid line and custom mounting hardware. 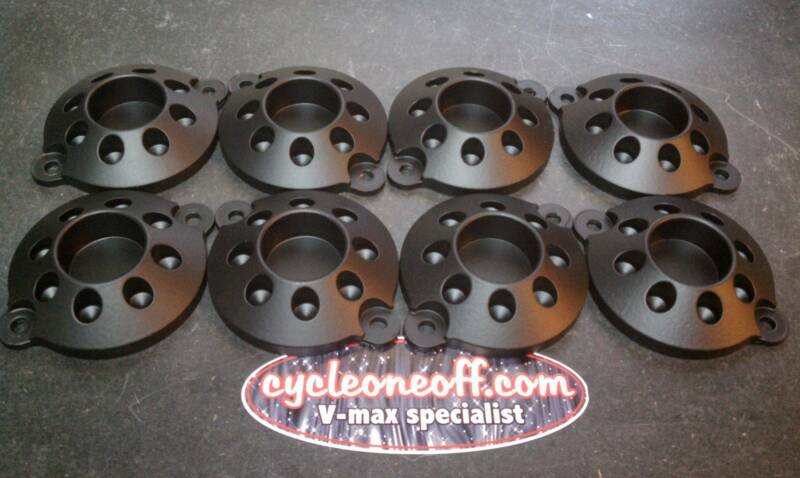 Black-faced 0-100 psi liquid filled pressure gauges. 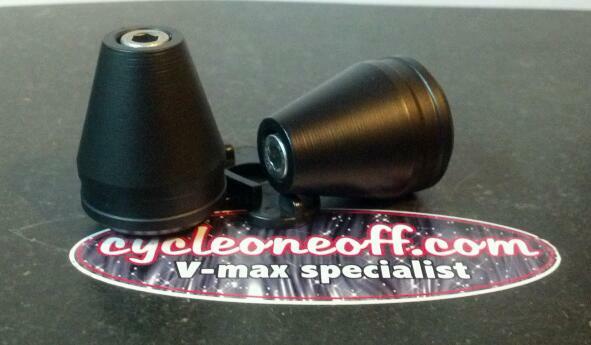 With updated banjo bolt with copper washer for more clearance. 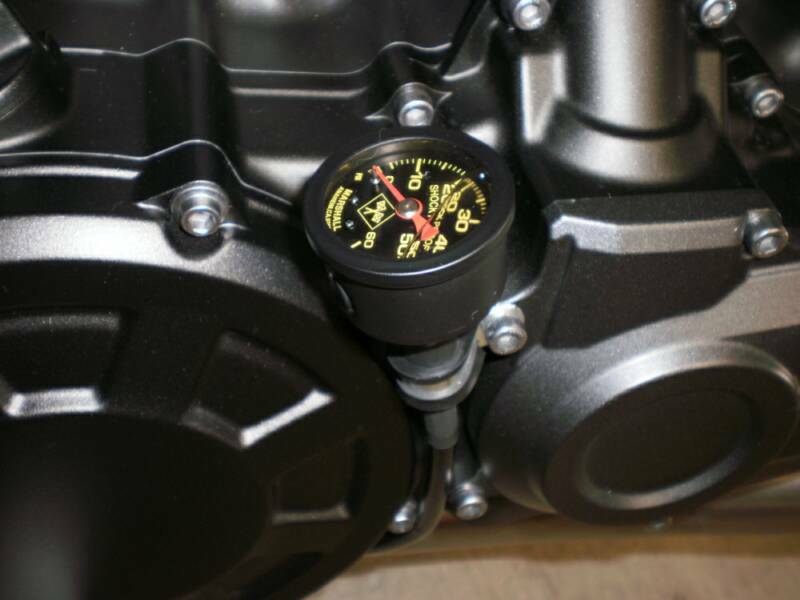 Water pump cover mounted oil pressure gauge kits. 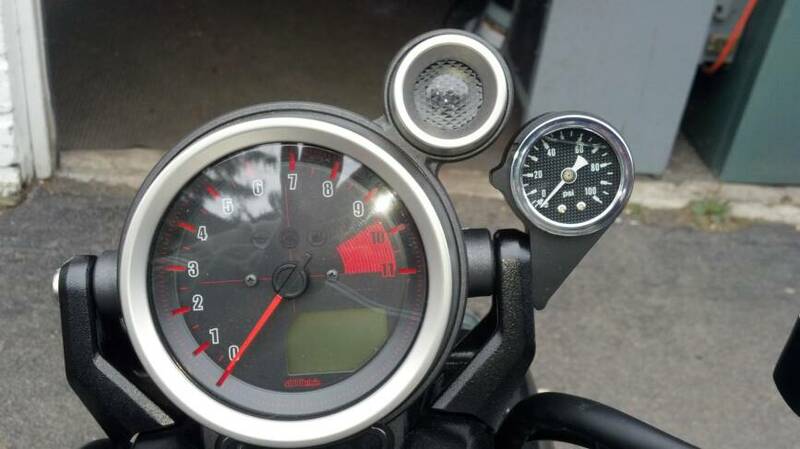 These gauges in this kit features a shockproof design along with it being glycerin-filled to dampen needle bounce caused from vibration. 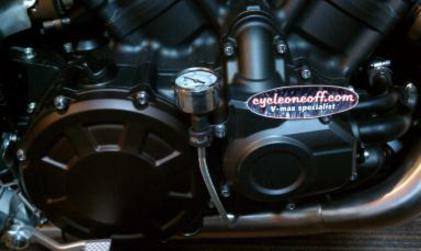 This is a water pump cover mounted oil pressure gauge kit that fits the Yamaha 09+ V-max motorcycles. 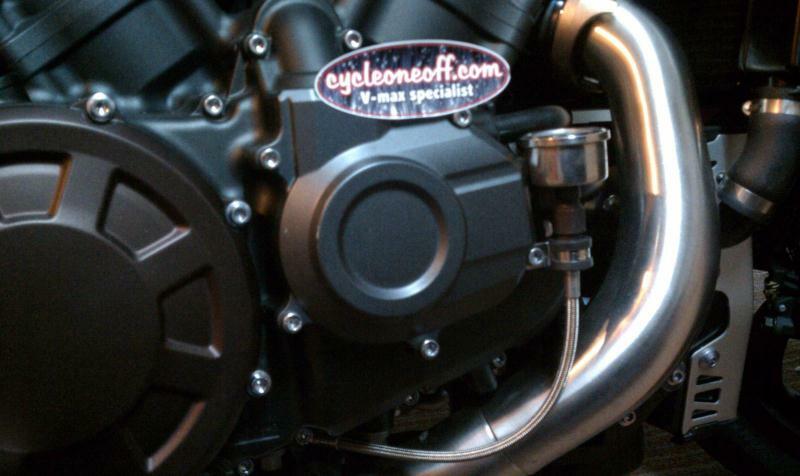 This kit is quick and easy to install in just minutes, It will come complete with instructions. 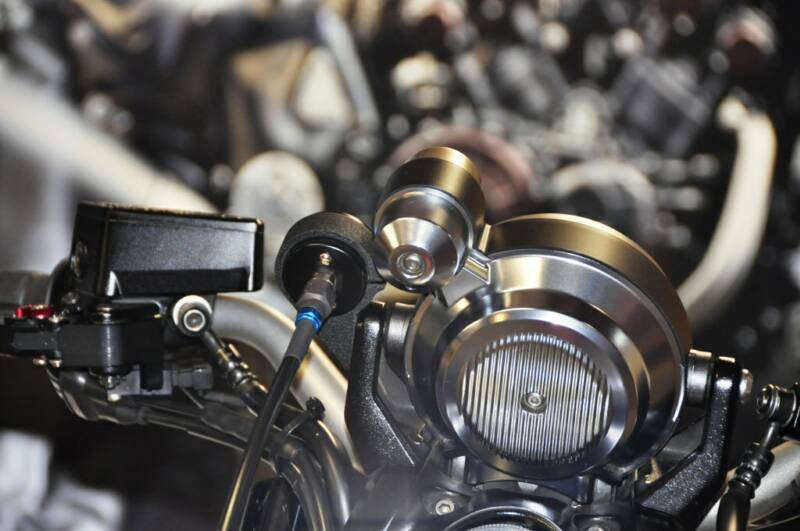 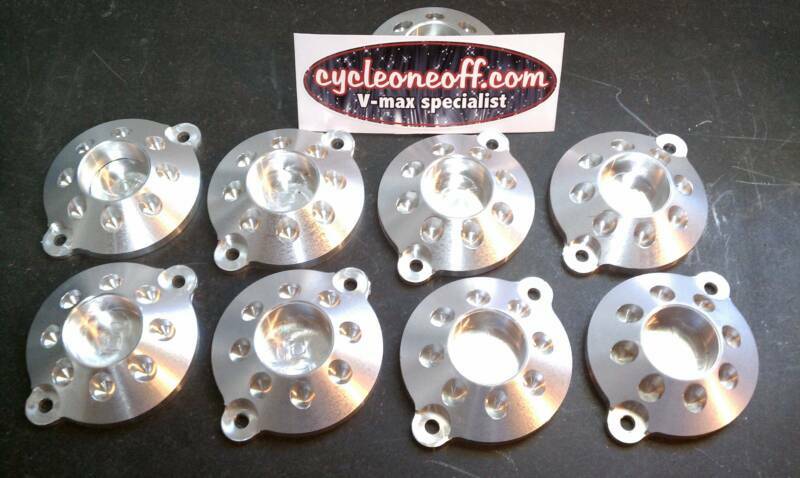 For more information on these kit please go to our oil pressure kits page. 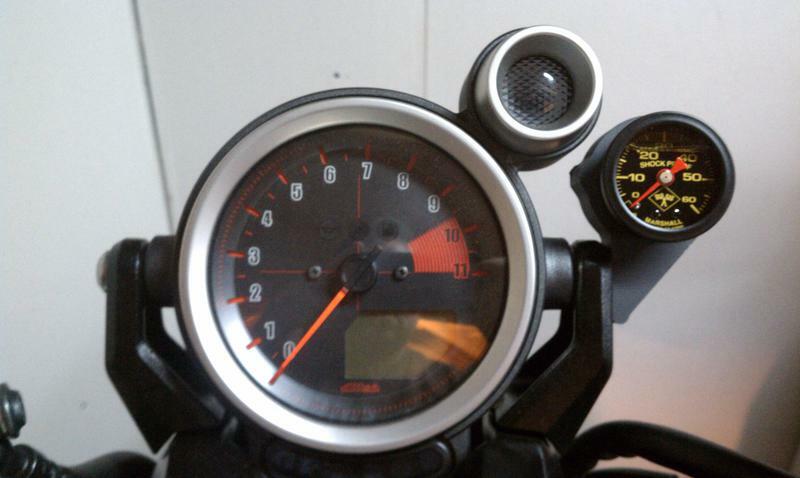 Blacked Out Oil Pressure Gauge Kit. 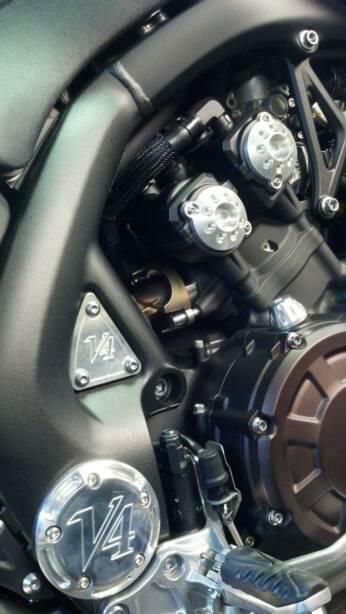 That's right we have our oil pressure gauge kits for the New V-max. 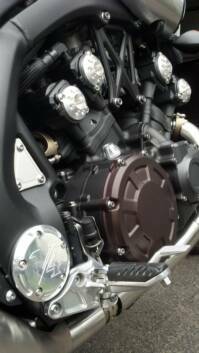 Knowing Yamaha's track record it might not be a bad idea to put one of these on your new investment. 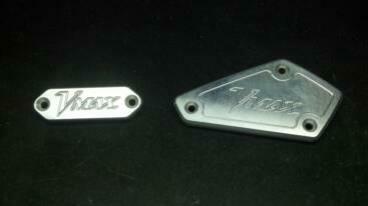 Well I called it back in 2009. 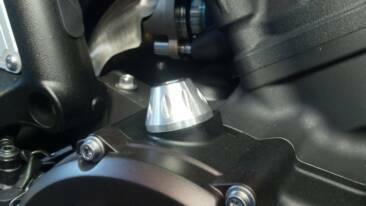 A unofficial recall has been placed on the oil pump on the Gen 2. 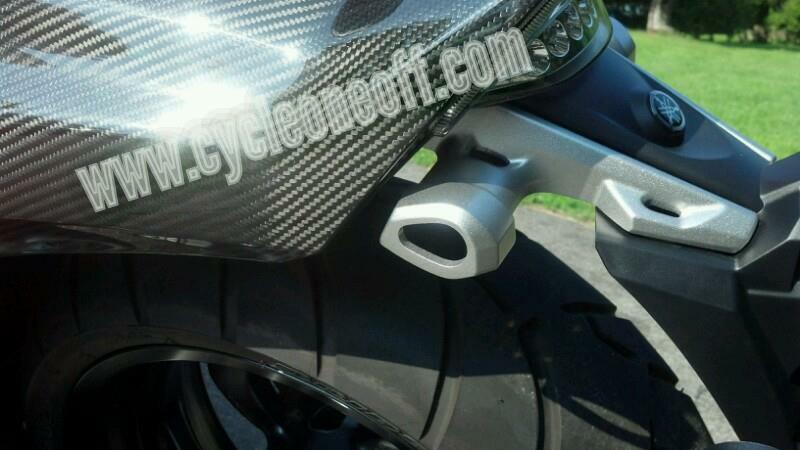 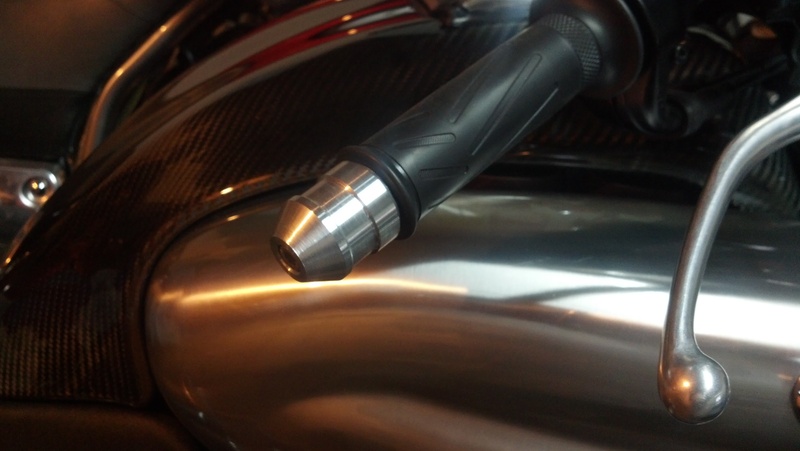 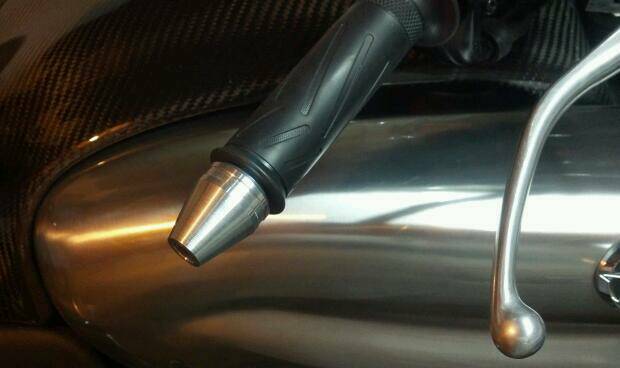 Carbon fiber top mount oil pressure gauge kit. 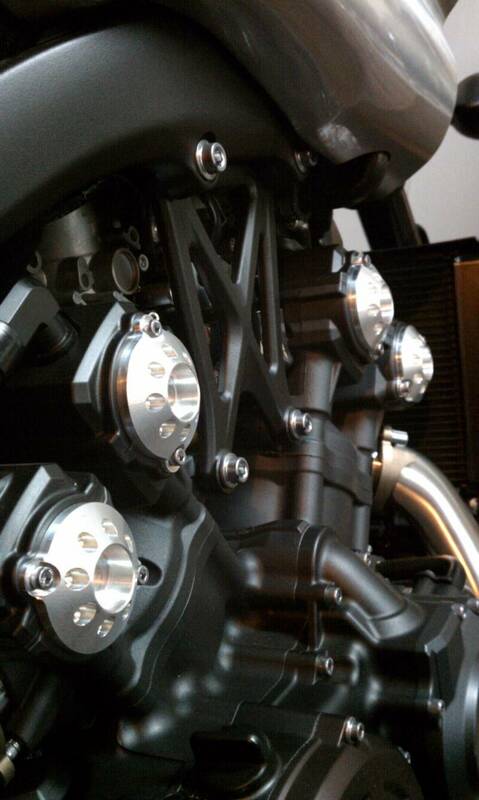 Comes complete with braid line and custom mounting hardware. 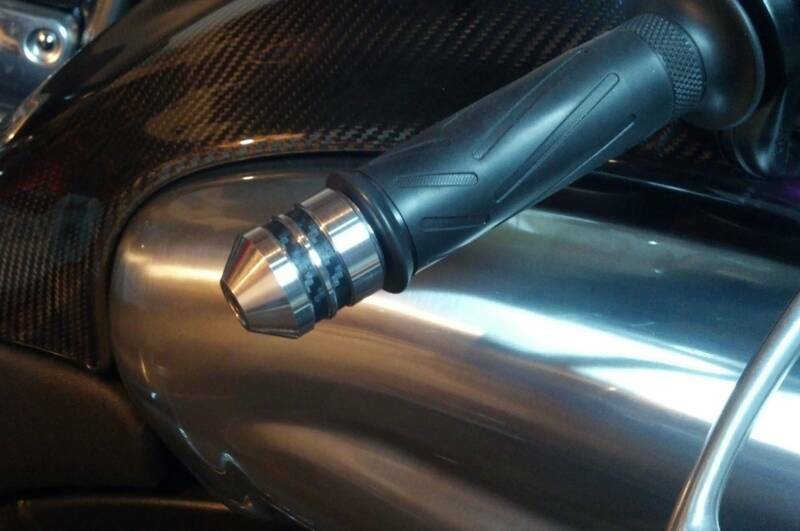 Carbon fiber-faced liquid filled pressure gauges. 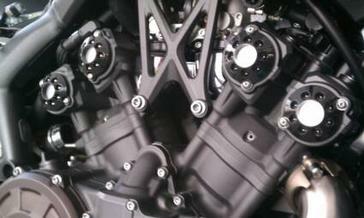 Powder coated black bracket. 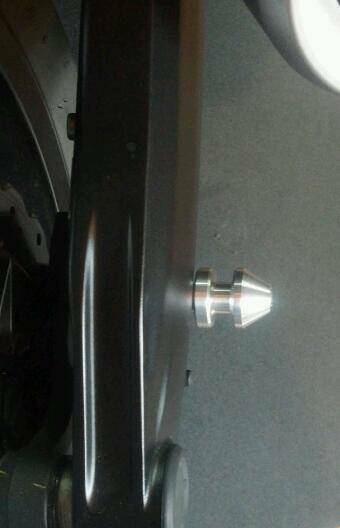 With updated banjo bolt for more clearance. 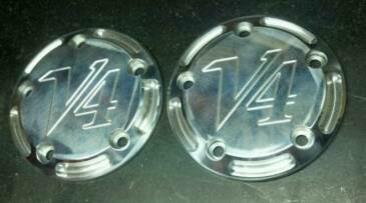 V-max 1700 camshaft cam covers. 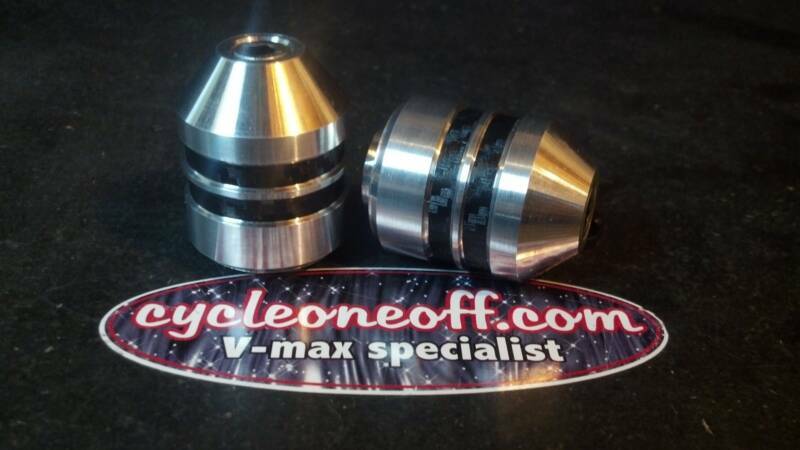 CNC machined for a perfect fit..
Easy to install and will include instructions. 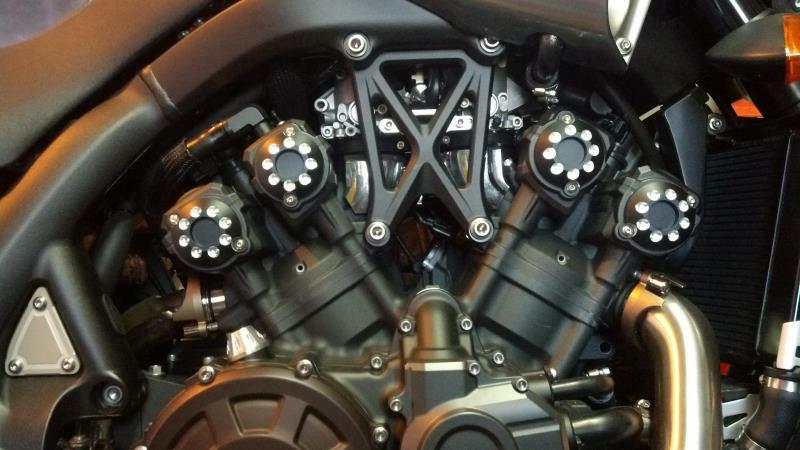 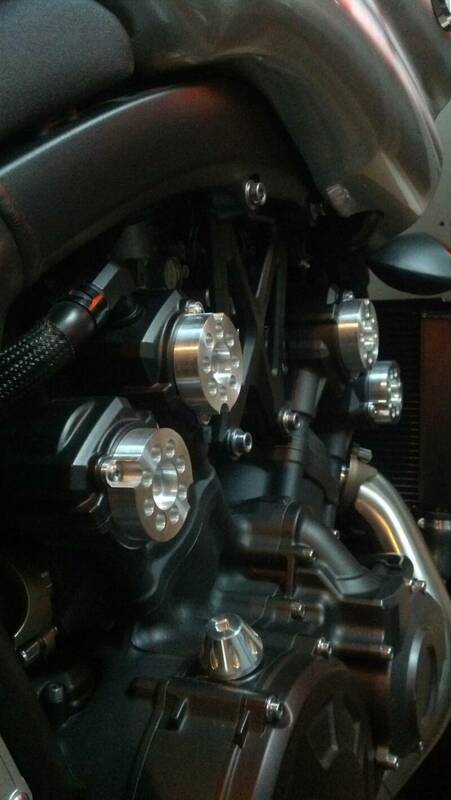 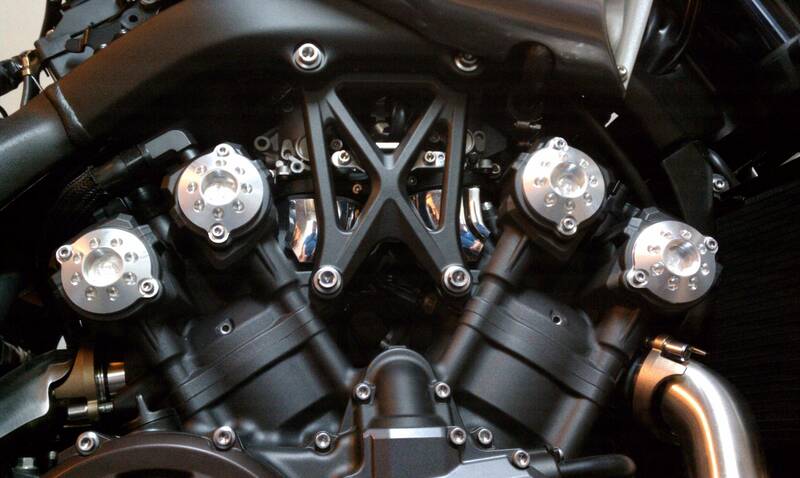 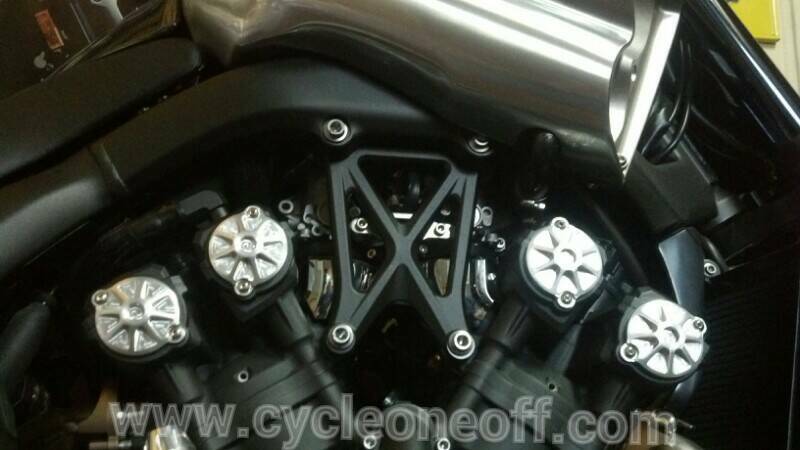 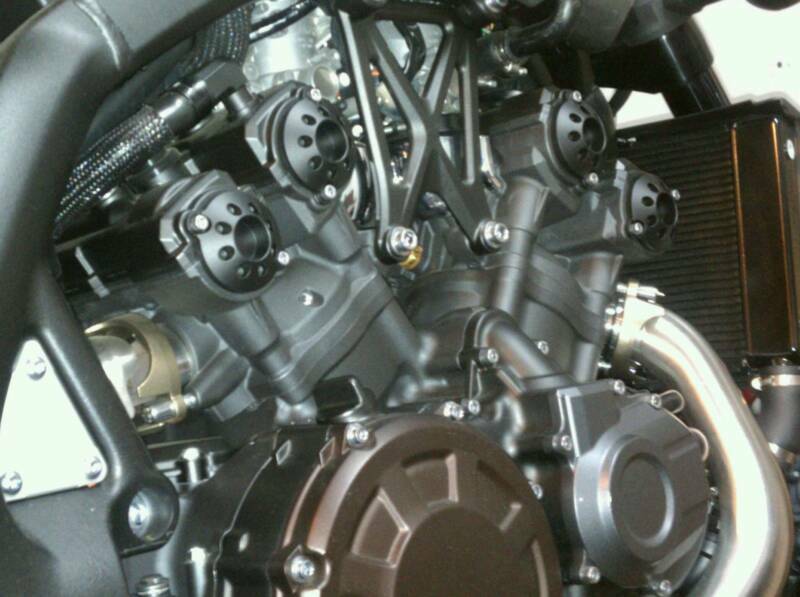 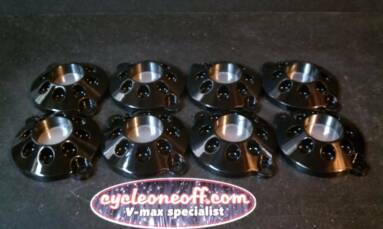 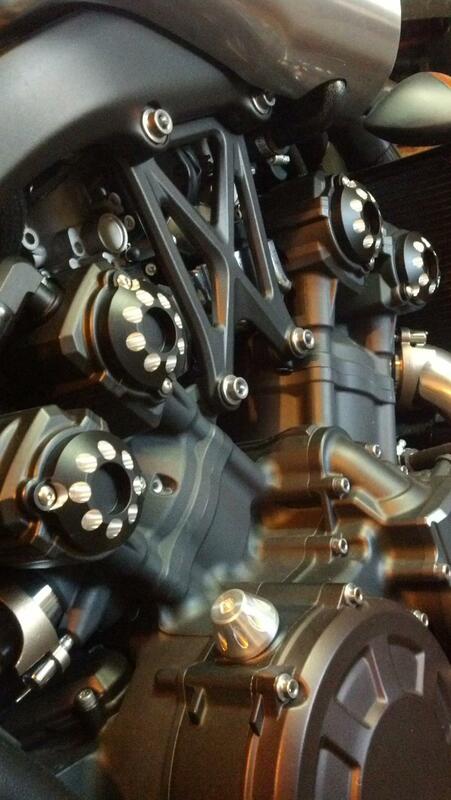 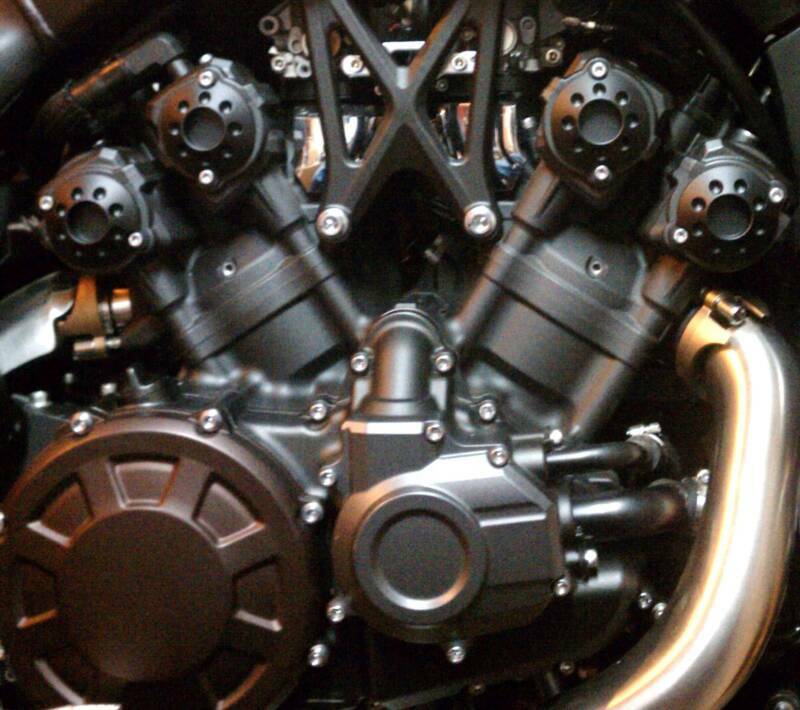 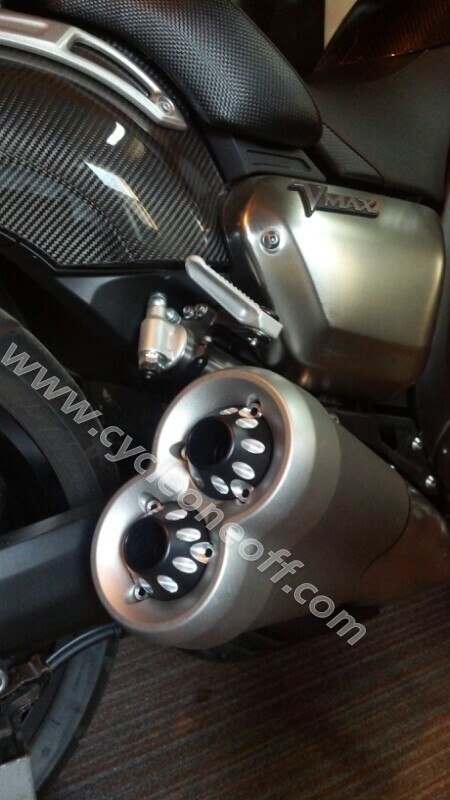 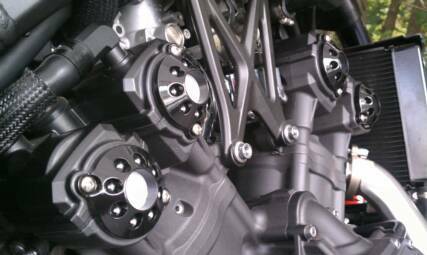 V-max 1700 black camshaft cam covers. 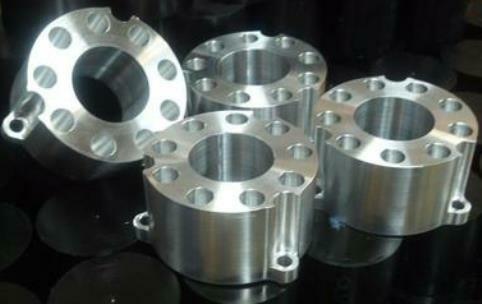 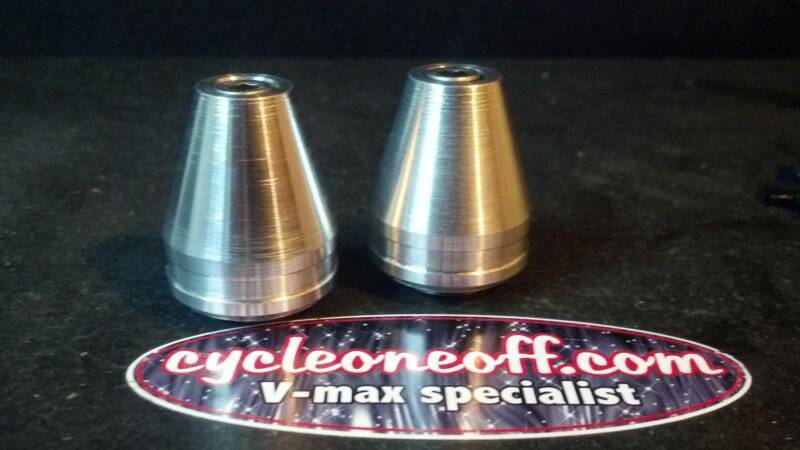 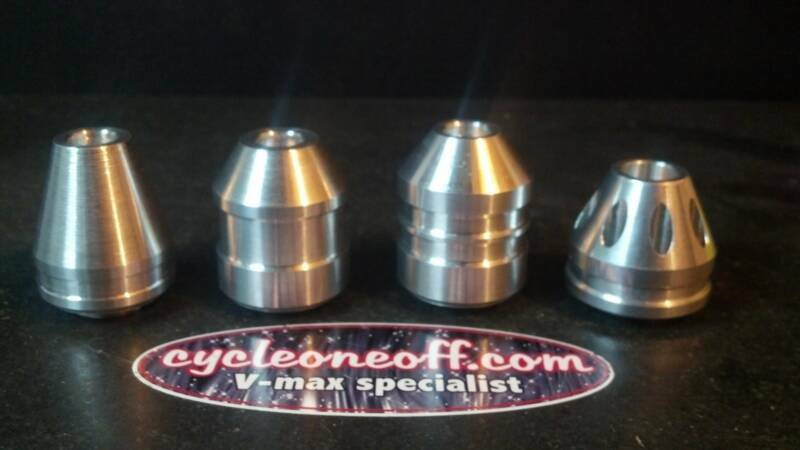 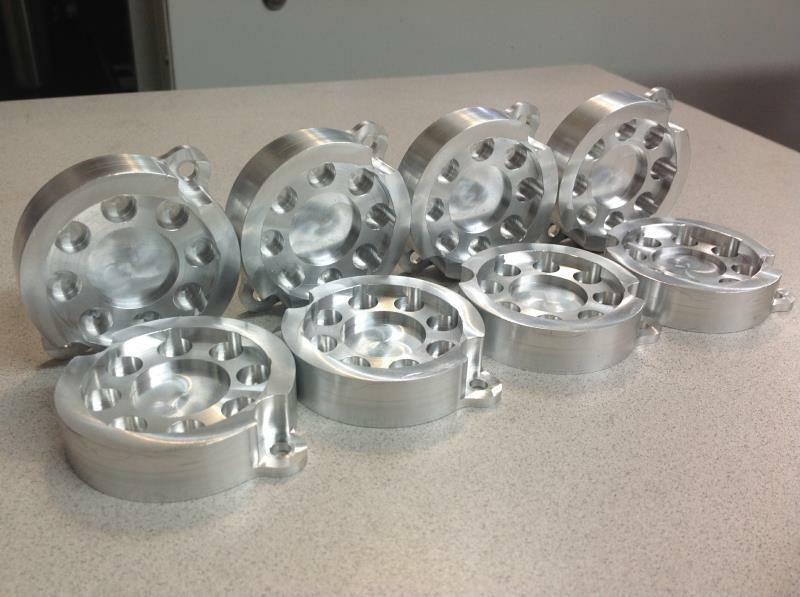 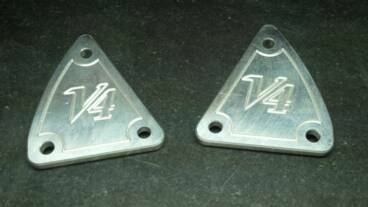 V-max 1700 Silver dot camshaft cam covers. 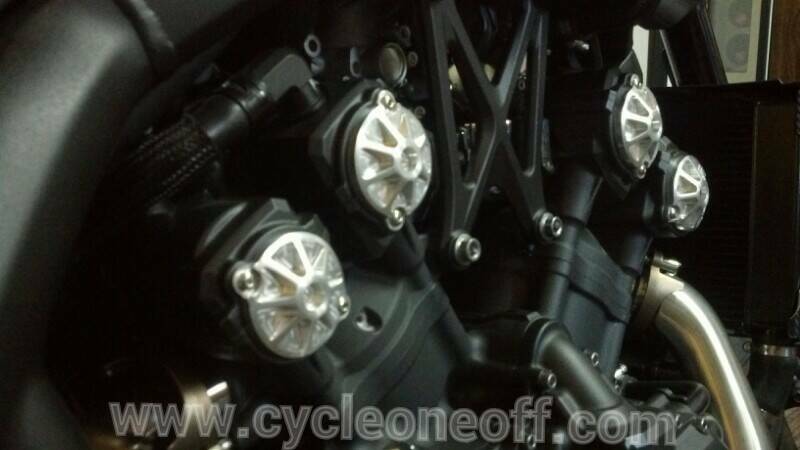 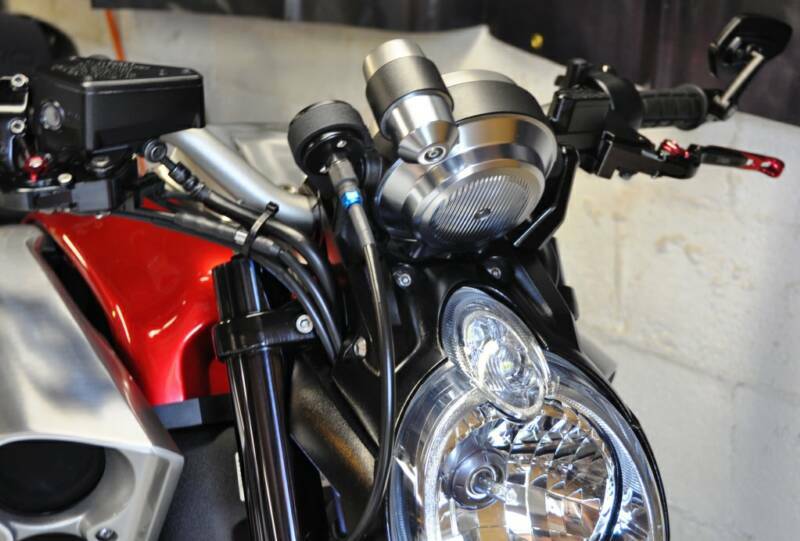 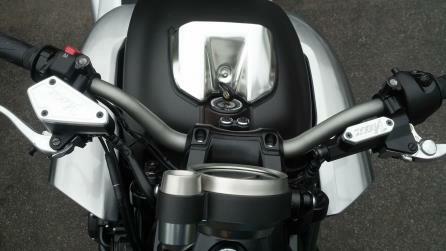 Reservoir covers clutch and front brake. 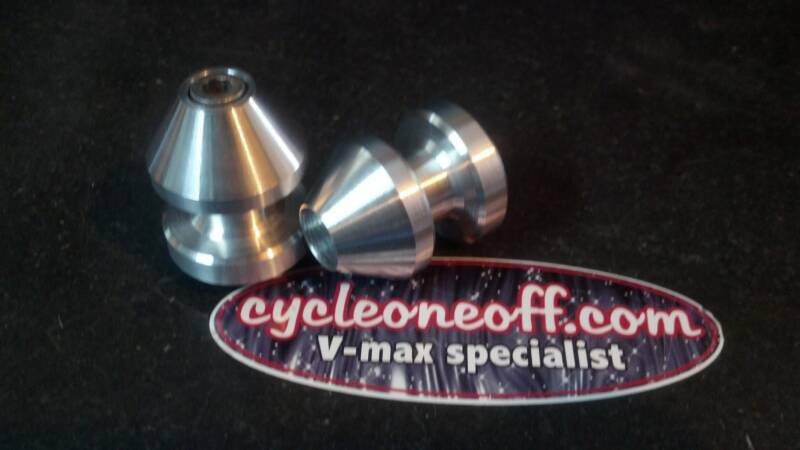 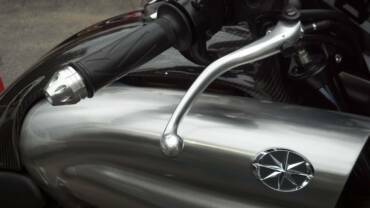 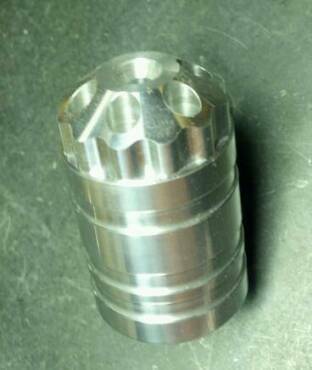 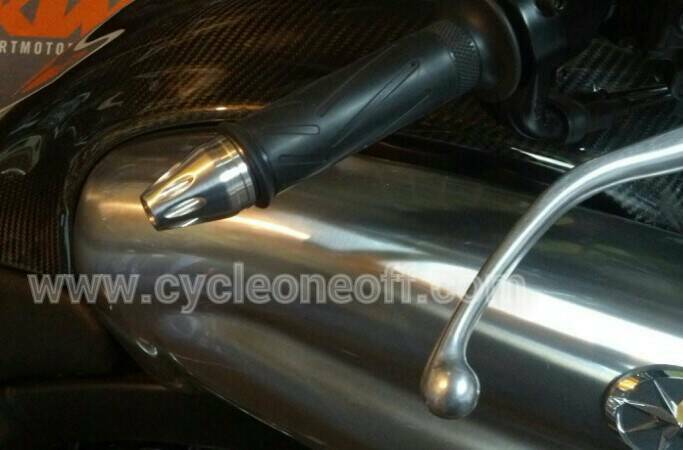 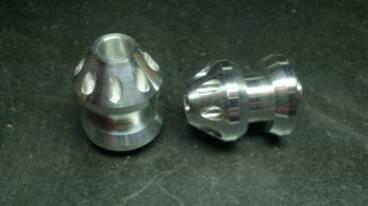 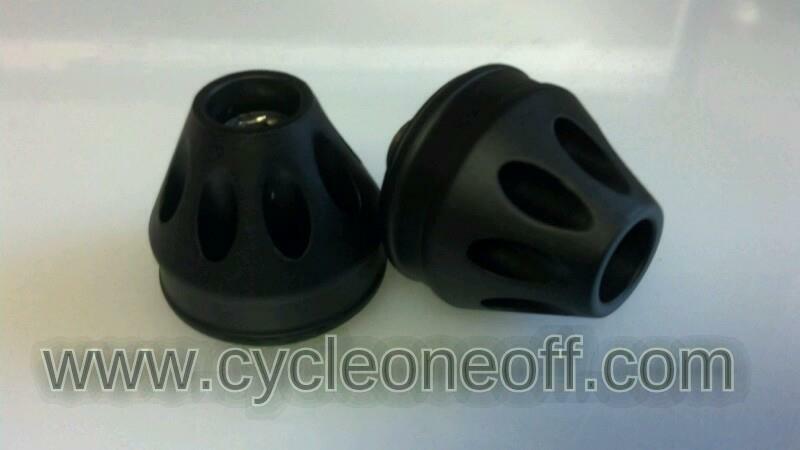 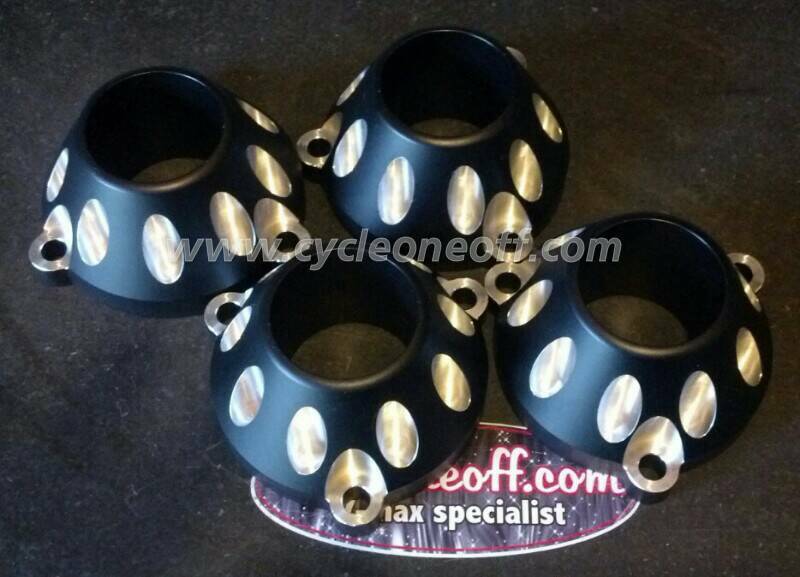 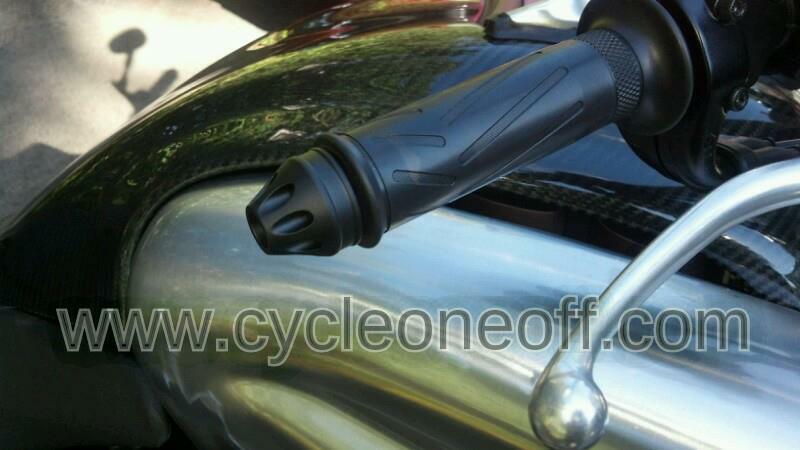 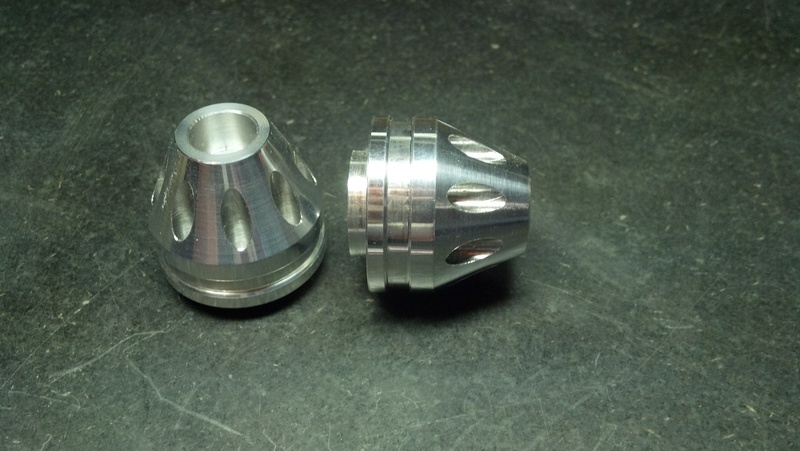 Bar ends cnc machined for that prefect fit and look. 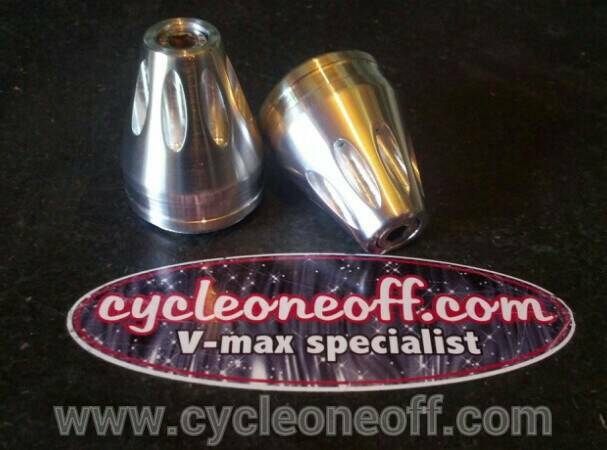 V-max 1700 Chunky camshaft cam covers. 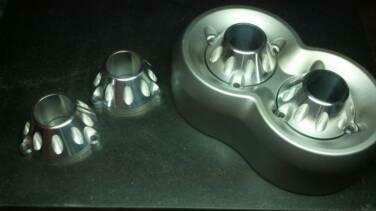 Email me for a lead time on this item. 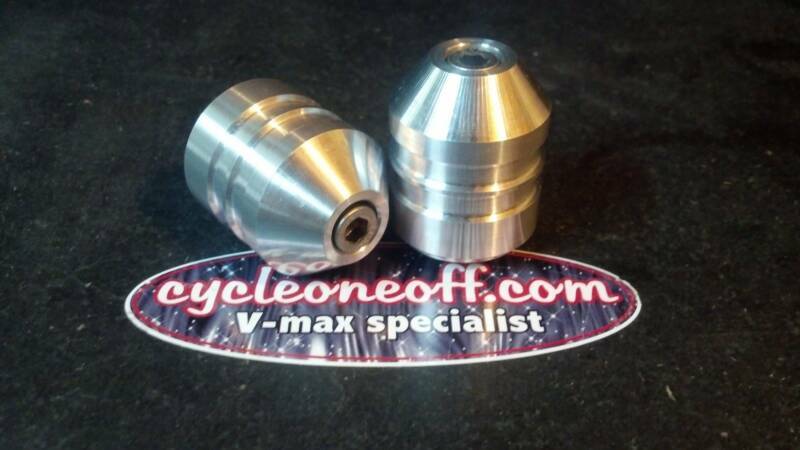 V-max 1700 Star camshaft cam covers. 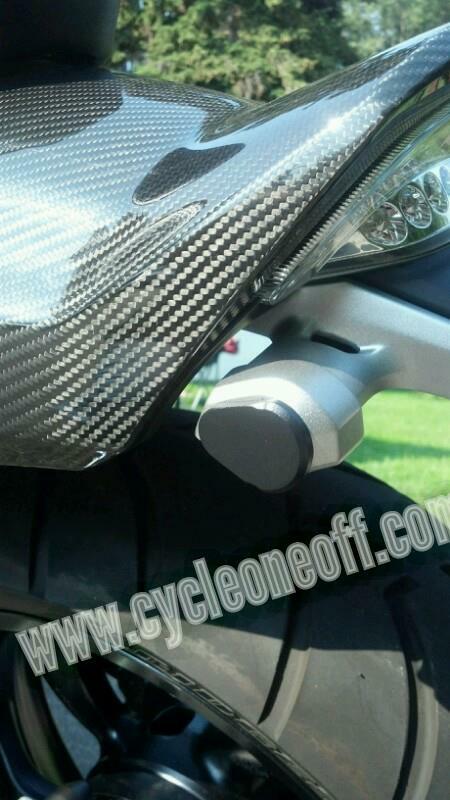 New rear black blinker delete plates. 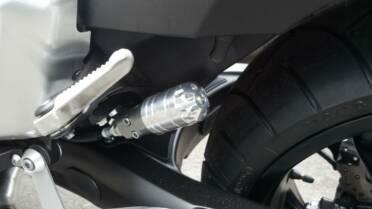 If you relocated your rear turn singles and still have the stock mud guard these are a must. 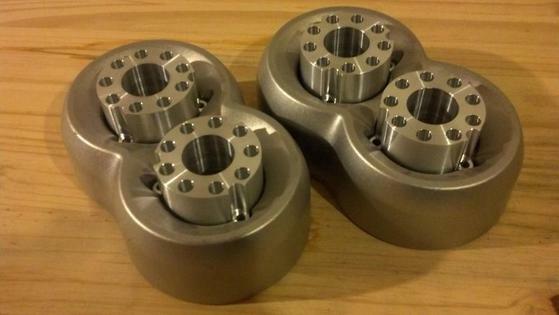 Made out of aluminum with a nice 3D look. 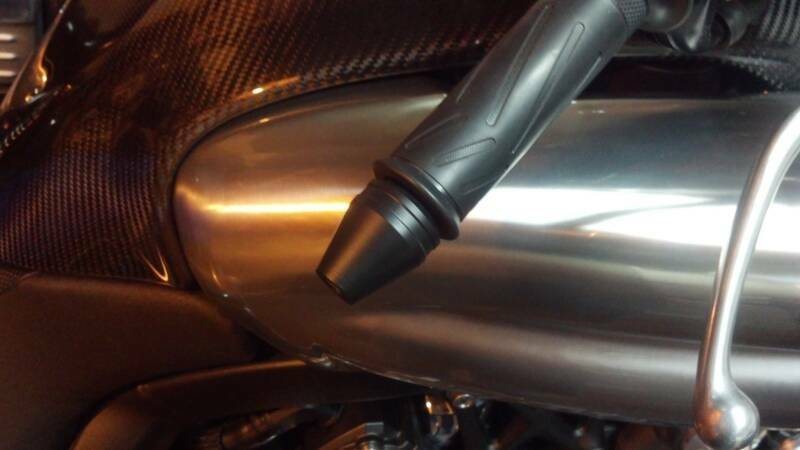 Give your bike that custom look. 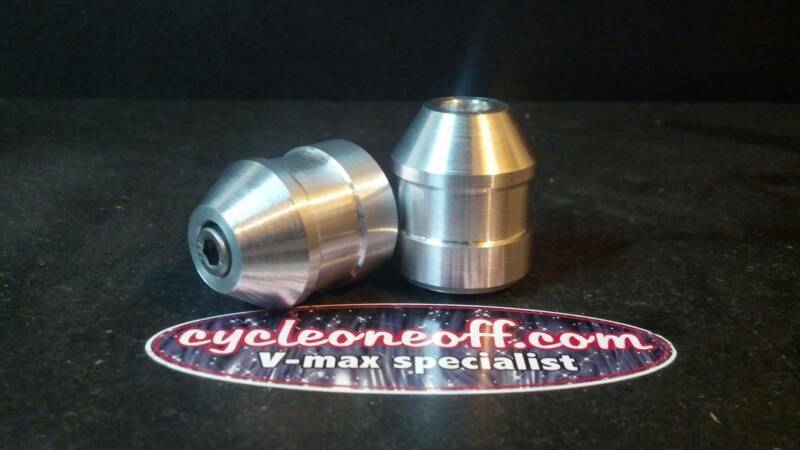 V-max 1700 Gat camshaft cam covers. 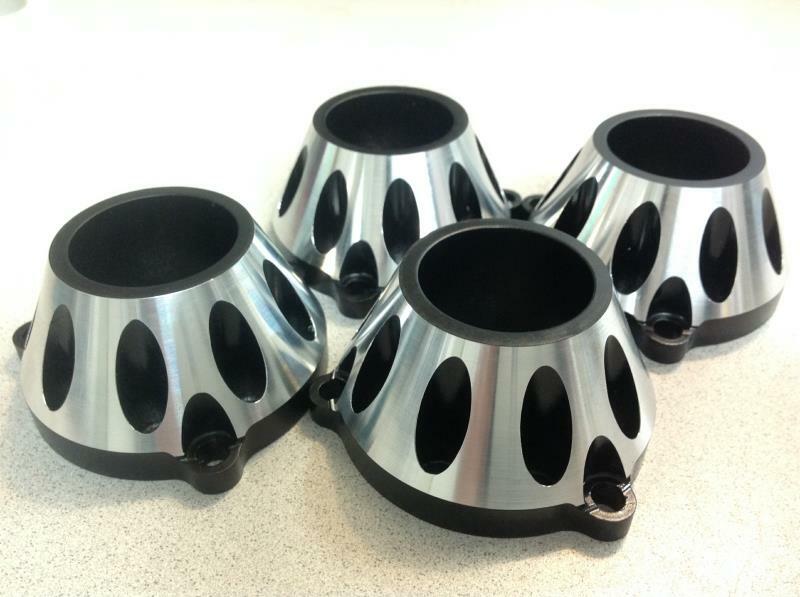 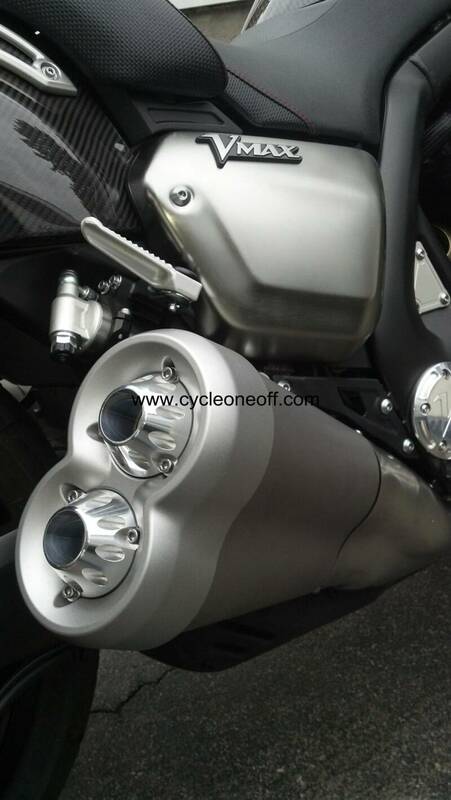 These will match our exhaust tips shown below.